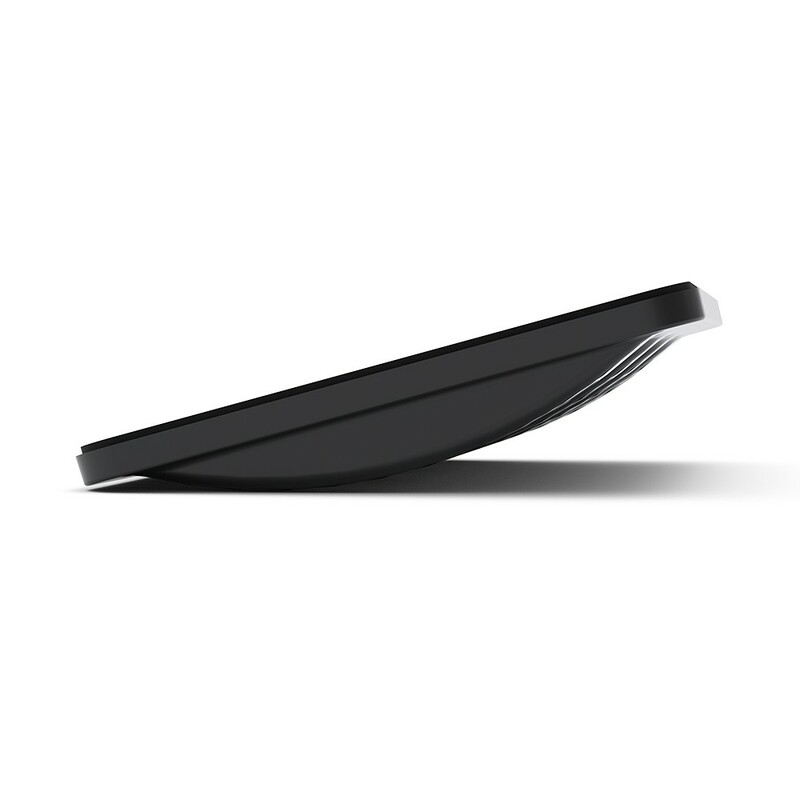 We’ve combined the comfort of an anti-fatigue mat with the health benefits of a balance board to bring you MoovRite, a new way to stay active at your desk. MoovRite is a standing board and footrest that promotes both backward/forwards and side-to-side movement to fight the unhealthy effects of static posture. This movement activates the core while encouraging oxygen and blood-flow to the brain for sharper focus on work. 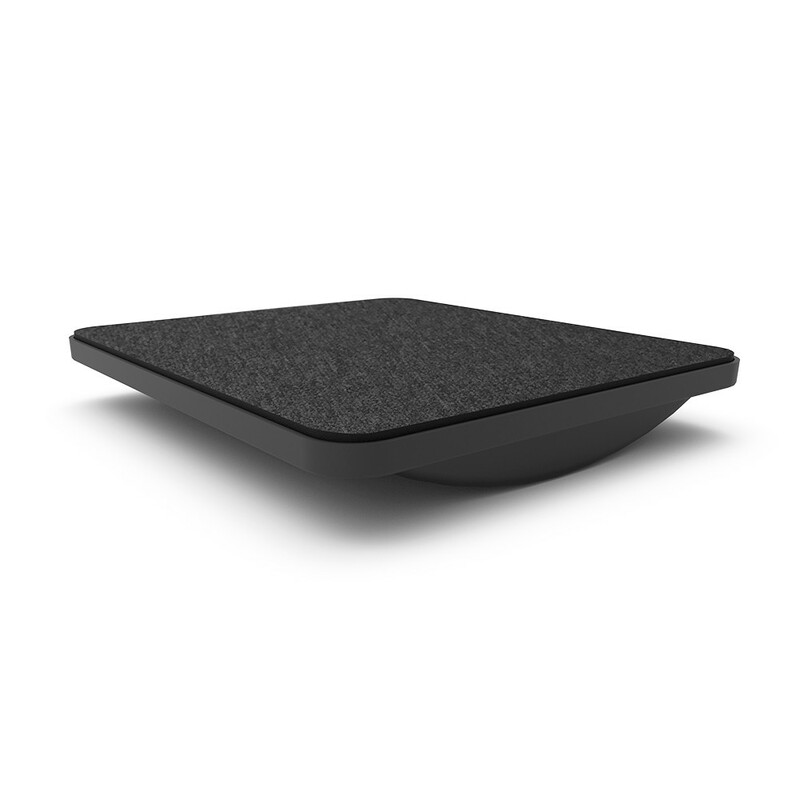 You can now use your sit-stand desk in absolute comfort thanks to the anti-fatigue mat layer, which helps reduce pressure on joints while standing. Even if you don’t have a sit-stand desk, the MoovRite acts as a footrest to help you sit actively, stimulating your leg muscles and increasing your calorie burn. Hard floor protection strips are available if the MoovRite is to be used on hard surfaced floors. Reduce risk of weight-related diseases. Improve balance and core stability. Reduce risk of muscloskeletal disorders. Stay alert and focused at work. Anti-fatigue mat layer to help cushion feet to reduce pressure on joints while standing. Backwards/forwards and side-to-side movement capabilities. Carpet layer for smart look and extra grip. Encourages active working for a healthier lifestyle. Activates core and leg muscles. Can be used on both carpeted and hard surfaced floors (hard floor protection strips needed).